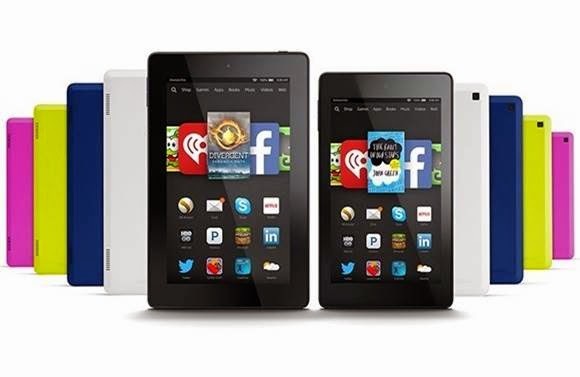 Amazon outs two new tablets in the Fire HD line- the Fire HD 6 and HD 7. As their name implies, these new devices come with 7-inch and 6-inch display with the same 1280 x 800p resolution. The two slates also share similar features in terms of hardware – both have quad-core chipset, 1GB of RAM and same 2MP/VGA camera sensor combo. The Fire HD 6 starts with USD 99 (Php 4,400) for an 8GB variant all the way up to USD 134 (Php 6,000) for 16-gigabyte configuration. On the other hand, the HD 7 8GB is priced at USD 139 (Php 6,200) and USD 174 (Php 7,800) for 16GB. Alongside these hardware, Amazon also announced the Fire OS 4 that will come with the device right off the bat. It is based with Android KitKat and will seed to third-gen Fire HD slates later this year.